The servicing requirements of each car are different. Some require servicing every 3,000 miles whilst some will go as long as 12,000 miles between services. The components that need to be changed during the service also vary from make to make, and even from model to model. For this reason, it is better to leave car servicing to the professionals rather than doing it yourself. Most vehicles require different types of services at different stages in their life. A simple type A service, where the oil is changed and fluid levels and the basic systems of the car are checked is needed by all cars. Type B services including things like the changing of air filters, oil filters, spark plugs and more detailed checks of the vehicle's basic systems are needed at varying points in the life of all cars. These two types of services are sometimes referred to as interim and full services. The manufacturers prefer you to use their dealership network to get servicing done, but you can safely get your servicing done in many other places. A good mobile mechanic can perform a full service at your home or in a car park. Independent mechanics with their own garages also provide good servicing. In theory, you can even service your car yourself. However, the fact that modern cars are quite complicated means that to do so you need to have access to some specialist tools. Couple this need for specialist tools with the fact that most people do not have the necessary level of mechanical skill and you understand why very few people choose this option. By far the best car servicing option is getting your car serviced by a servicing centre. These centres are a relatively new type of garage that are opening up. They do not carry out complicated repairs such as clutch or gearbox replacements, but do offer MOTs, brake, exhaust and tyre replacement. However, their main purpose is to provide good quality car servicing for a very competitive price. When you are in need of car servicing you have two options: either to go for franchised dealers or your local garage services. It is not surprising to know that the franchised dealer may quote nearly 20% more than your local reliable car garage. They treat you better than the franchised one and in 8 out of 10 cases come up quickly than the other. Quotes from independent car servicing are the lowest and they are more reliable in terms of price and quality of service. However, when you enquire for an MOT, the rate may not vary much. But when you can rely on the quality of service, why you should spend more? Car servicing will vary according to the level of service you require and the garage that you use in order to complete your service. A full service is usually required every year while an interim service, which is not quite as comprehensive as a full service, is normally conducted 6 months after and before a full service. 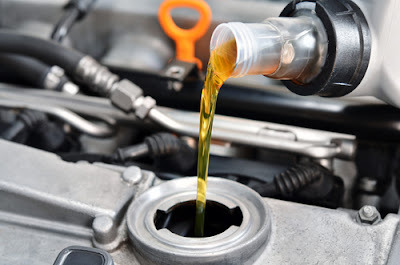 You may also have what is sometimes referred to as an oil service which can prove especially beneficial if you cover a lot of miles in your car. With all levels of service you will enjoy a replacement for your oil and oil filters which will help ensure that your car continues to run at its best. All fluid levels, including brake fluid and power steering fluid are also checked and topped up. If you want anti-freeze topping up then you should make sure that your level of service covers this because it may not be included in the most basic level of service. Some of the essential checks that you will enjoy in all services include a check of the lights, wipers, battery, and other essential components of the car. An intermediate check will also look at the condition of the brakes, shock absorbers, and suspension while a full service goes even further with full checks of many of the systems in your car. Car servicing should be considered an important factor in ensuring that your car will continue to run at its best for many years to come. 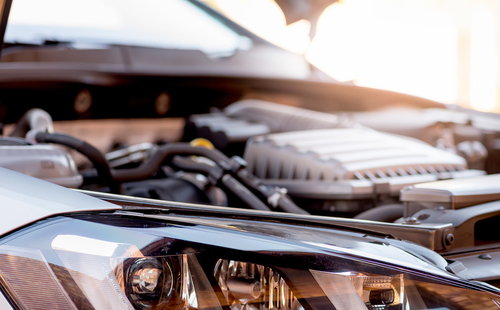 Servicing does not guarantee that problems will not occur but by checking that the engine is kept in as good a condition as possible means that you have a greater chance of experiencing fewer breakdowns. What's more, any possible problems can be identified early which means that they can be repaired before they become too costly. Car servicing becomes cheaper for electrical repairs as well. You can rely on garage services for critical servicing involving brake and exhaust repairs and replacement or engine work as well. The rate quoted by a dealer in replacing a cam belt or timing belt was found to be nearly 60% higher than a local car garage. A good garage will never insist on unnecessary oil change after every 3,000 miles, because most of the modern cars now use synthetic oils that can last 7,500 miles or even more. They also come with oil change indicators. You will save money on this account and will also contribute to a greener environment. Another advantage of hiring a local car servicing is the quality of service you get on maintaining your car. 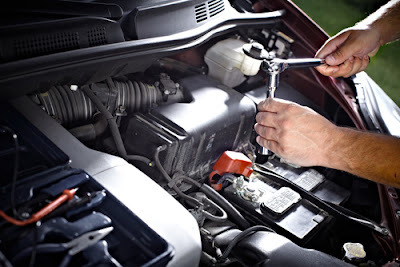 The engineers at car servicing would advise you how you should check the battery of your car. Though very cold temperatures may reduce the battery's power by almost 50 per cent they would advice you on protecting it from summer heat. To minimize any problem arising from the battery you can keep the terminals clean from corrosion by applying a mixture of baking soda and water and by tightening the cable connections. Once the battery is more than three years old, you should get it checked at periodic interval. Extreme variation in temperature can lower the tyre pressure that again adversely affects the vehicle's mileage. It also causes the tyres to wear more quickly. Your car servicing checks the tyres carefully whenever you take the vehicle for a repair or car servicing. Always check the review sites to find out more about the garage services to see how the service has been rated by the past users. These reviews are mostly unbiased and you can form your opinion properly. A full service is the most comprehensive level of service available. In addition to everything mentioned above, you will also benefit from a drive belt check, alignment check, bearing check, and a check of the condition of the brake fluid. Furthermore you will enjoy replacements for your fuel filter or spark plugs and air filter. You should call or visit car servicing before you get the work done. Though you may consider this to be a hassle, it may save money for you. Once you see the garage physically you can judge the level of business the take up and busy engineers means reliable service. Turnover of the car servicing garage also indicates that people rely on them for their servicing jobs. The garage should be welcoming and you may like to peep into the work area, which should be clean. Talk to the engineers and if they are in the business for years they would be able to service your car to your satisfaction.